An eon ago (if you don’t know what that is then I’ll tell you—it was a long time ago), I was invited to attend a writer’s conference by some idiot whose name I can’t remember. 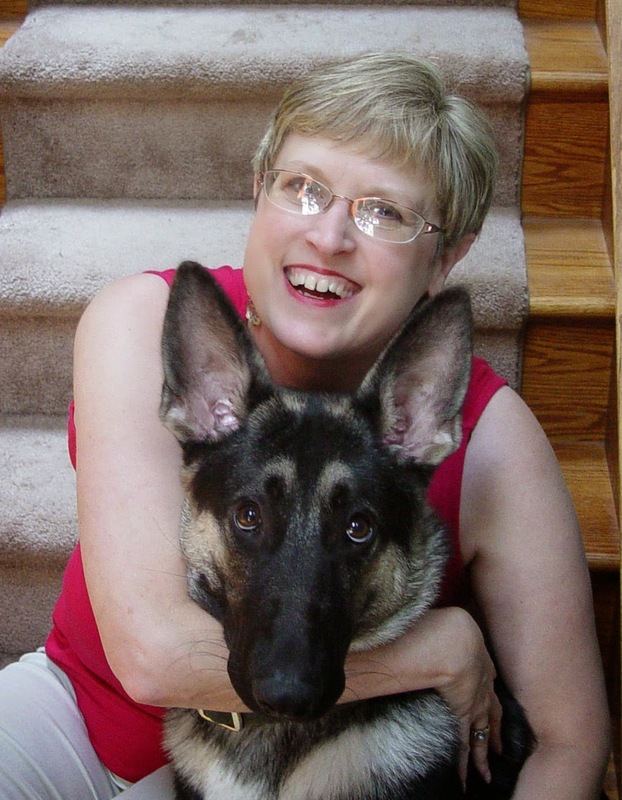 At the time, I was an editor with the federal government, a weekly columnist with a daily newspaper, and working on my first mystery in my spare time—usually while riding the commuter train to and from Washington DC. So, a fellow commuter, when she found out I was working on a book, suggested that I go to a writers’ conference in Kentucky, claiming it was the only way I could make that transition from dreaming of being a mystery writer to actually being one. So I took a week’s vacation time to travel to Kentucky to have a miserable time. 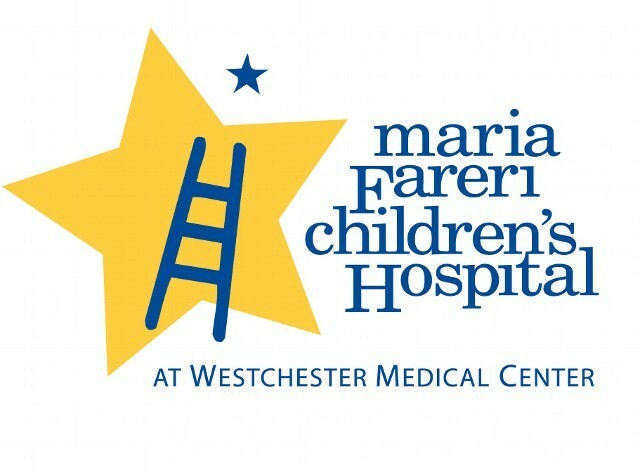 The misery stemmed from the conference’s headline author—who wrote award-winning mysteries. I had read a couple before going and didn’t like them—but her literary agent, publisher, and the people who gave her these awards said they were true works of literary art. Since they were all in New York and she was getting published—they had to know something I didn’t. So, I paid out a bunch of money to have this award winning author read the first three chapters of my book in order for her to determine my chances of ever making my dream come true. Note, this was the first time in my whole life that I had dared to allow anyone other than a relative who was obligated to love everything I do read my mystery writing. Up until then, I had only written news articles and humor pieces. Murder mysteries are a whole different animal. 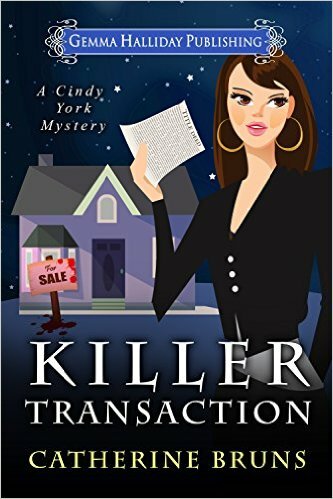 She was an award winning murder mystery writer—so whatever she said had to be the absolute truth—Right? Forget that she was so arrogant that within twenty-four hours she had managed to alienate virtually every writer attending this conference. Nothing makes a week long writers conference seem longer than being stuck with someone who thinks she holds everyone’s writing dreams in her plump little claws. Over the course of the week, one writer after another would join the throngs of depressed upon her declaration that they had no talent—therefore, they should hang up their dreams. Of course, she absolutely ripped my book apart! After fifteen minutes of being insulted from the characters to the plot to the writing style, I asked what she thought of my typing and formatting. Based on how hard she slammed the door on the way out of the little room where she was verbally assaulting my ego, I assume she didn’t. It was a year before I attempted to write yet another murder mystery. Fast forward ten years—at least—maybe more, maybe less. After publishing my first two books, A Small Case of Murder and A Reunion to Die For, both of which received rave reviews and decent sales, a friend of mine convinced me to go to yet another writers conference—at which point my eyes glazed over. After much prodding from my husband, I finally agreed to travel south to yet another conference—at least this one was only a weekend, so it couldn’t rob me of a whole week of my life that I could never get back. The friend was traveling with his wife, so I had to book a hotel room by myself. It took only a few hours at the conference for me to see that it was everything I expected it to be. Most of the attendees were college students. I was at least ten years older and, being married with children, wasn’t looking to hook-up or get drunk. The featured authors, all academic types, wrote for genres that were more niched than mine. My writing was more main streamed. Also, I was diving head first into the growing Internet and social media. None of the authors headlining the conference seemed to be much beyond knowing where the ‘delete’ key was located on their keyboard. When I returned to my room that night I called my husband and groaned, “I’m stuck here for another three days!” Note to self: Always drive yourself when you go to a conference that you think will be a bust! Then it hit me. Just because I couldn’t go home, didn’t mean I had to attend the conference. The next morning, I told my friend that I was staying in my room and working on my next book. Three days later, when I emerged from my hotel room, I had finished over the first one hundred and twenty pages of It’s Murder, My Son, the first installment of the Mac Faraday Mystery series, which went on to make it to number one on Amazon in mysteries in 2011. Locked in that hotel room, with no distractions, I had three days of completely focused writing time. Yep, that was the best conference I ever attended. This is not to say that I don’t like conferences. I have been to some where I have left totally motivated and inspired. Don’t give others the power to determine your worth as an artist. Just because they may have big contracts or awards or contacts doesn’t mean they know what readers want or may be looking for. When I think of all the dreams that creature of a feature author dashed that week—maybe some who never did return to writing, my heart breaks. Focused writing time is the best! Ever since that weekend I have devoted focused writing time to each one of my books. Up until that time, due to family obligations and life, I was only able to write an hour or so at a time. Now, I schedule time, hours, days, whole weekends with nothing on my plate but writing, which results in much tighter plotlines and writing style. Since that “awful” conference, I have shared my discovery with other writers and authors. One author who lives five hours away and I will regularly schedule weekends to meet at a bed and breakfast for focused writing time. respective plots. Since we both have families and spouses who are not in the business, we discovered that having a buddy who understands the various aspects of writing to use as a sounding board is invaluable. By the end of these weekends, we go our separate ways completely invigorated and anxious to put our fresh ideas to work. 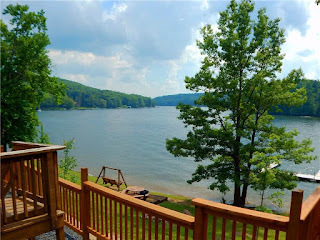 That is why I jumped at the opportunity when Lakewood Resorts, located on the shores of Deep Creek Lake in western Maryland approached me to suggest using their facility for a week-long writers retreat! Lauren Carr's Advance toward Authorship Writers' Retreat is scheduled for Friday, November 13 through Friday, November 20. Weekend packages are available, as well! 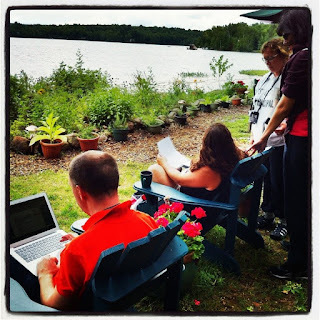 Not only will writers who attend this writers’ retreat have quiet and beautiful scenery in which to write, but they will be surrounded by other writers in order to share ideas and have someone who has been there available to encourage them and lead the way. A variety of packages are available. Writers can sign up for a single unit at Lakewood Resort to write in complete solitude or share a unit with their spouse or writing buddies. Each lakeshore unit at the luxurious Lakewood Resorts can accommodate four or more writers—making this an ideal retreat for writers groups. Offerings include choice of a variety packages. Many offer focused writing time, weekend workshops, private consultations with me (Lauren Carr), writers’ gatherings, and meal options. Retreat prices vary with level of participation. 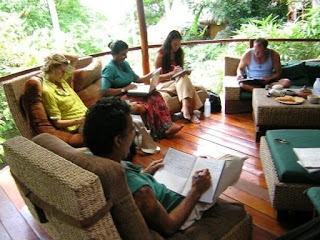 Lodging costs are per unit, and units can be shared with family or other writers. In addition to lodging, all participants pay the per person rate for the chosen retreat package. 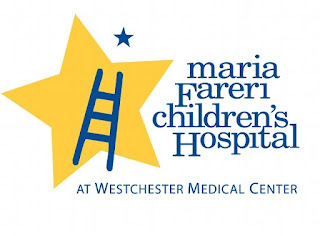 will be Friday, November 13-20, 2015. Weekend packages (Friday through Sunday) will be available. It will be held at Lakewood Resort, McHenry, Maryland—Deep Creek Lake, the setting for Lauren Carr's Mac Faraday Mysteries! Visit Lakewood Resort’s website at http://www.lakewoodresortsmd.com/ for more information. 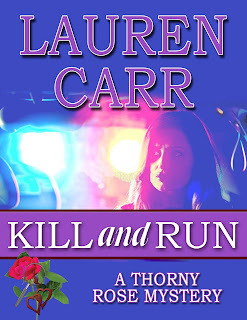 Lauren Carr is the international best-selling author of the Mac Faraday and Lovers in Crime Mysteries. 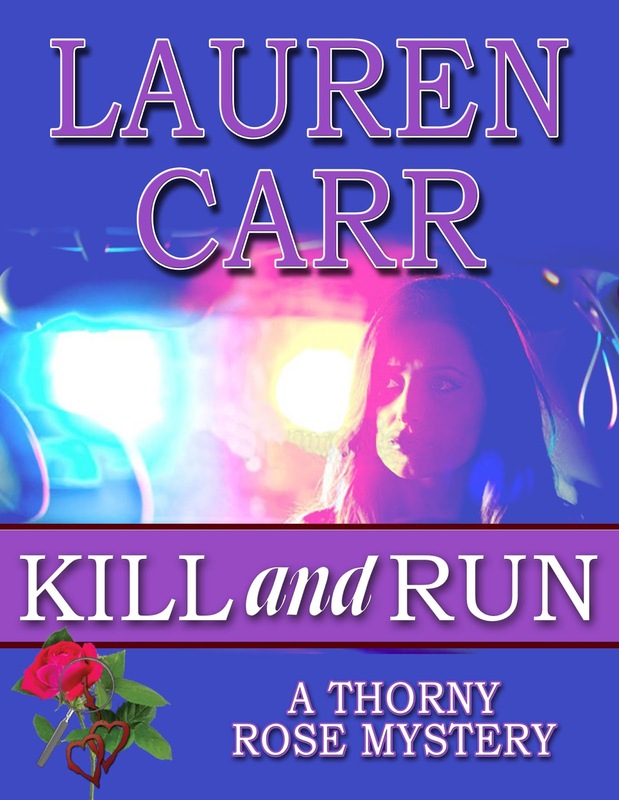 Her latest best seller, Kill and Run was released to rave reviews on September 4, 2015. Lauren introduced the key detectives in the Thorny Rose Mysteries in Three Days to Forever, which was released in January 2015.